Outside the airport was chaos as people congregated behind barriers to meet their arrivals. Trekking for Kids prepared us well, letting us know that someone would be there holding the TFK banner to find us. This was our introduction to Jagat Lama, our Nepali project leader, trekking guide, and the founder of Health & Ed 4 Nepal. You’ll hear more about him later. He greeted us by placing lovely silk scarves around our necks and welcoming us to Nepal. These are very respectful and kind people. 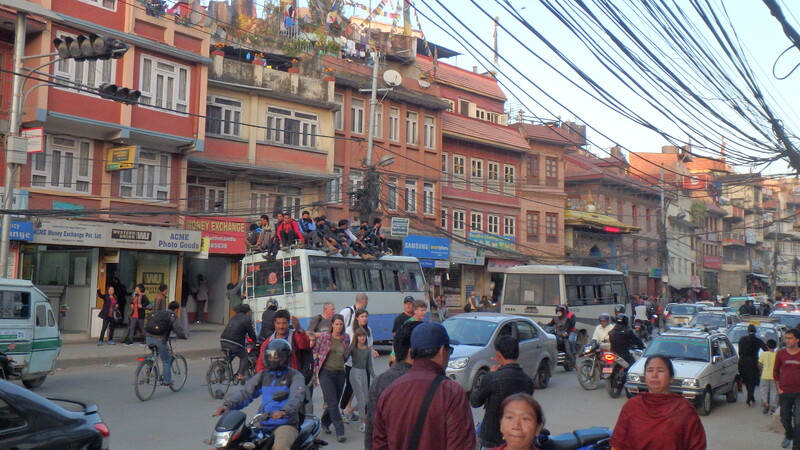 Kathmandu was quiet but even at this hour, from the back seat of the pickup, we could tell that this is one of those nations where driving is a contact sport. Lane markers are nearly nonexistent, and even with space on the road our driver barely missed cars as he swooped by them. 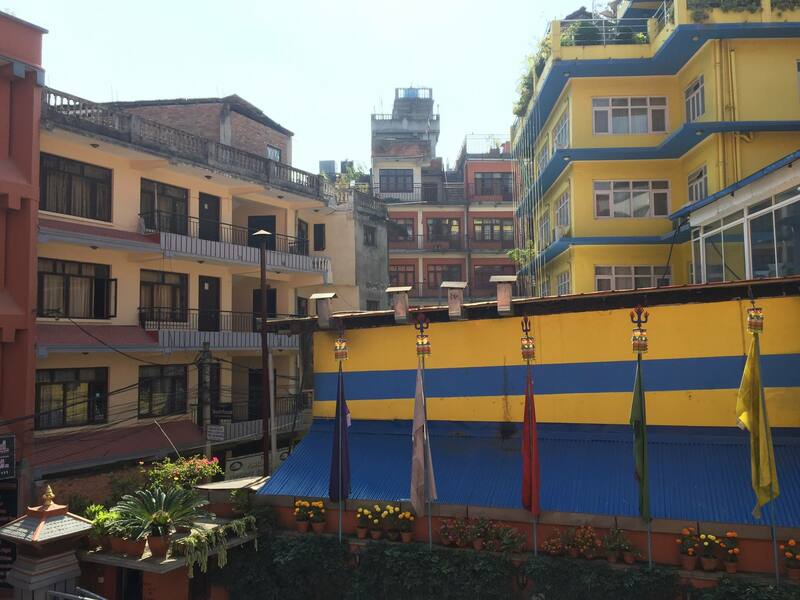 When we arrived in the tourist district, Thamel, where we’d be staying, groups of young men were gathered outside what must have been bars and clubs. The street was barely one lane wide, and if they blocked the road the driver gave a quick beep and, without looking, the offender would step just barely out-of-the-way allowing the truck to squeeze by. I suspect people are clipped with regularity around here. 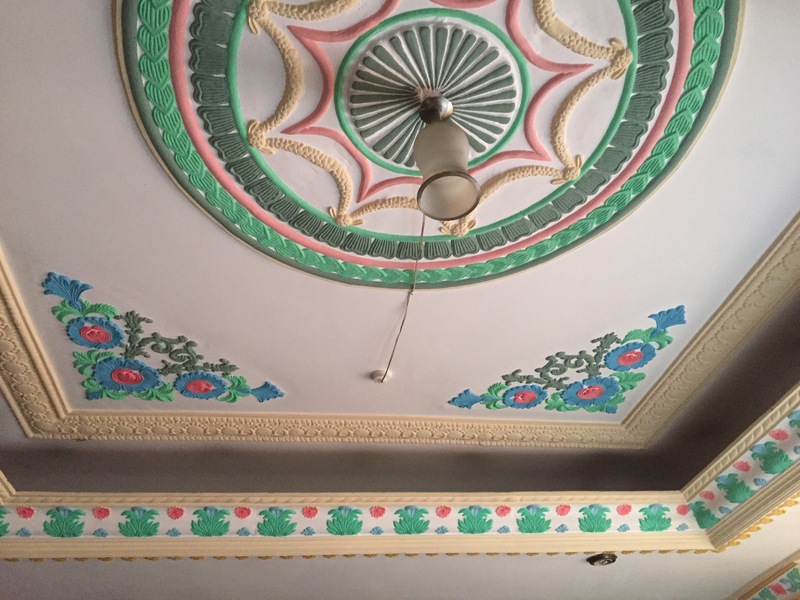 Our hotel is simple but clean and lovely and Jagat is bending over backward to make everything simple for us. He has made this airport run four times today and has to be exhausted by now, but he treats us like dignitaries. After purchasing some bottled water at the hotel’s restaurant (which sadly, is closed for the night since we’re dying for a real meal) we’re off to the room which, bonus, has air conditioning! This hotel also has internet, though it’s undoubtedly sketchy. I always have first night jitters in a new country as I learn what is and isn’t available, and my safety guard is high. I find myself being cautious of everyone and assuming every neighborhood is unsafe. So far, without fail, when I’m traveling with American’s that has proven untrue. US based groups are fantastic about finding the best options for western travelers within a price range and I have no doubt TFK has done the same. These are moments when I’m most aware how soft and privileged my American life is. 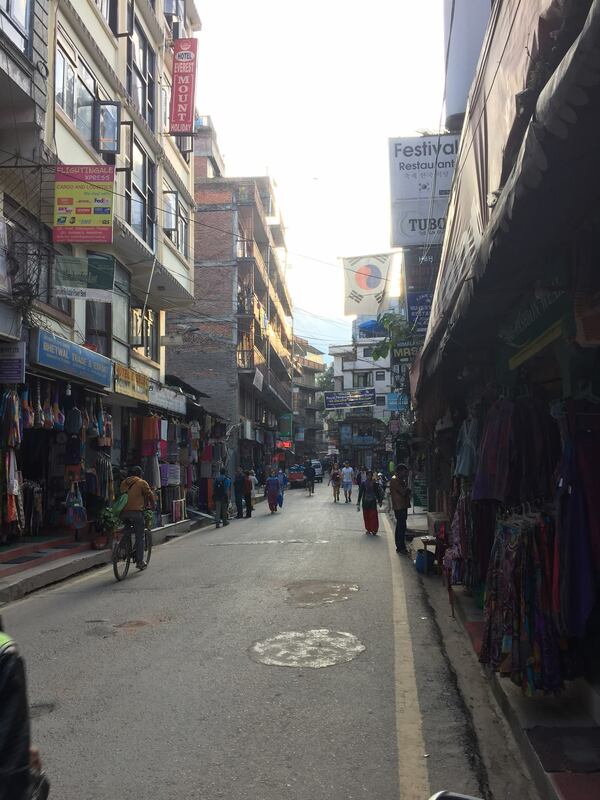 We had a couple days in Kathmandu during which we were able to do some local sightseeing and pick up any trekking items we hadn’t already purchased. 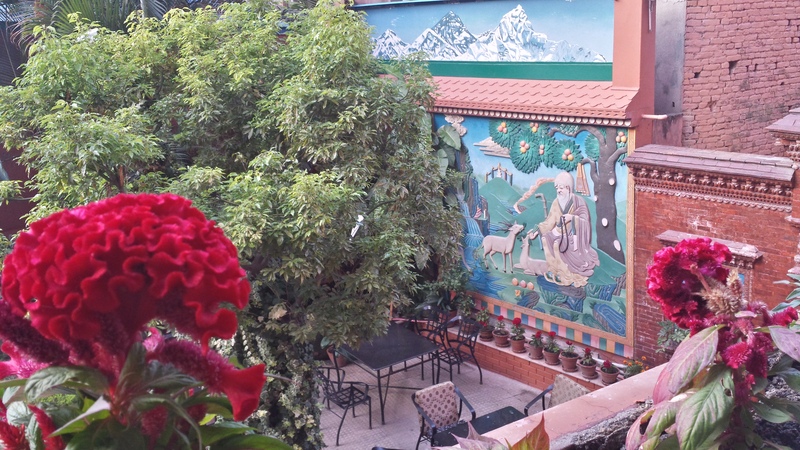 The tourist district is crammed with shops catering to trekkers with knock off gear. Every trip around Kathmandu was a fun adventure because of the driving. I never felt unsafe. This is regular life for these people and they’ve acquired the skills to live this way, so our drivers were more than capable to get us where we were going. 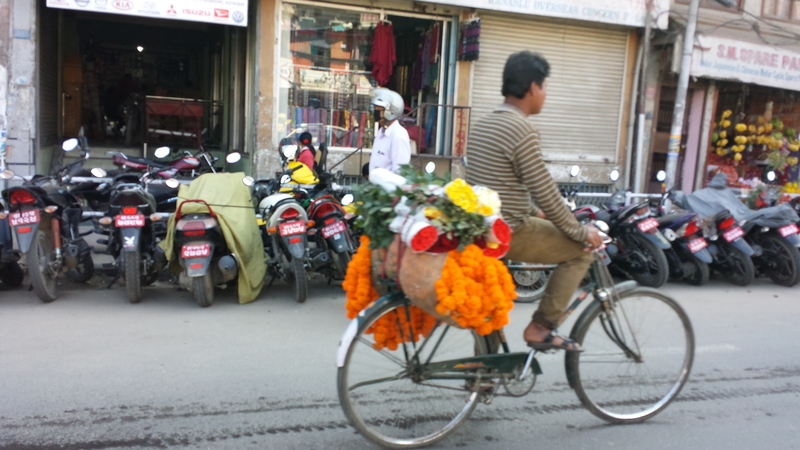 And, we were told, this was actually sparse traffic for Kathmandu. Nepal is in the middle of a fuel shortage caused by an Indian blockade. Lines of cars outside shuttered fuel stations stretch for miles all around the city. Priority vehicles are given first access to fuel and since tourism is a large part of the national economy the vans marked Tourists Only were plentiful on the roads. We were later told that Jagat had made the trip to the Indian border to acquire the fuel we would need for our trip to Kumari. 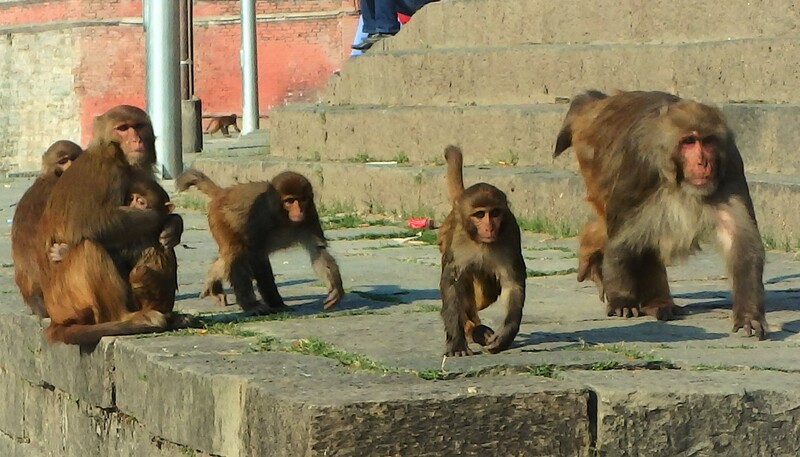 We visited the Pashupatinath Temple, a Hindu temple complex on the banks of the Bagmati river. Adult Hindu are cremated and they believe if their ashes are put in the Ganges River they’ll be freed from the cycle of reincarnation. 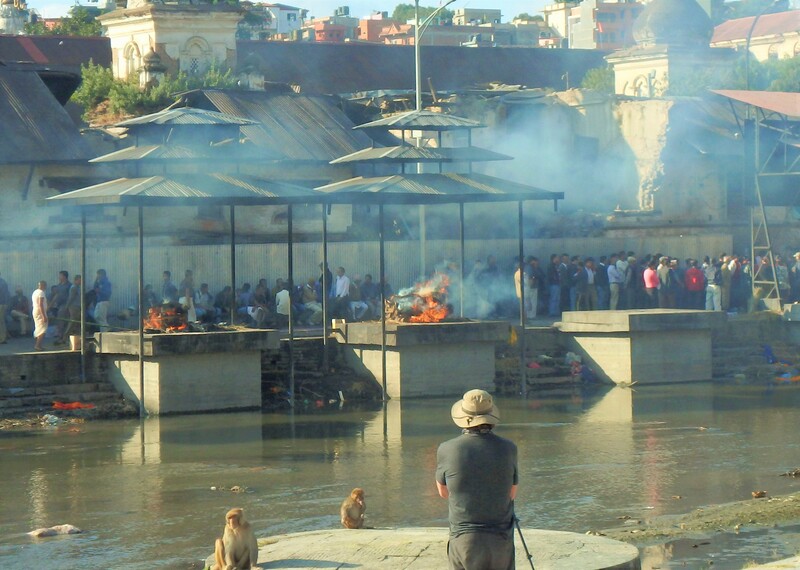 Because the Bagmati flows to the Ganges is it considered a holy river. 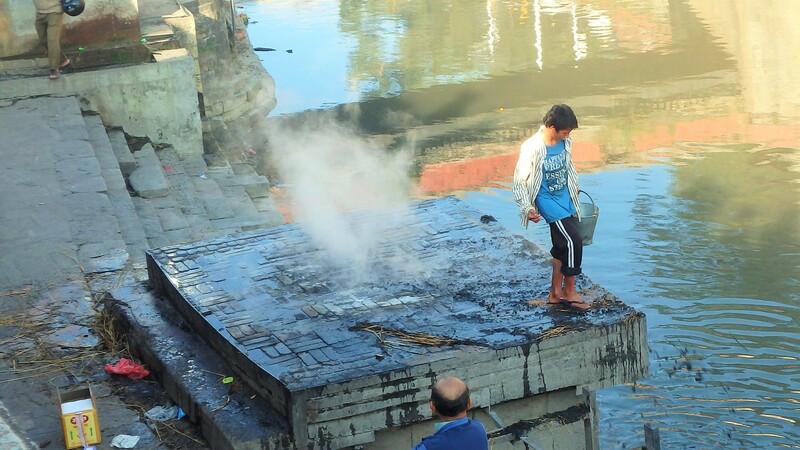 At this temple cremations take place daily on ghats—concrete slabs on which a pyre of wood and offerings are placed with the body. When the burning is done the ashes are swept into the river. After centuries of cremations, combined with the general lack of sanitation in poor countries, the river is quite polluted. Nonetheless beggars and impoverished people who live on the streets or around the temple use the river for washing clothes, and bathing. 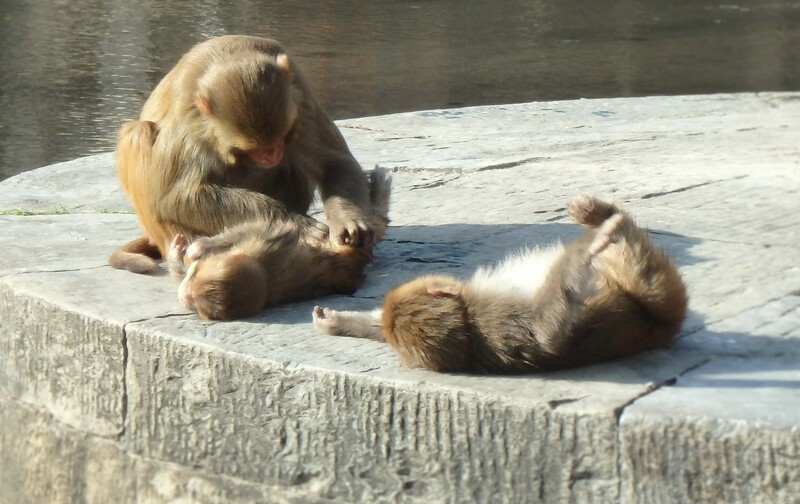 As with most temples, monkeys rule the grounds. We then stopped by the Boudhanath Stupa (temple), a large structure surrounded by a plaza of shops. 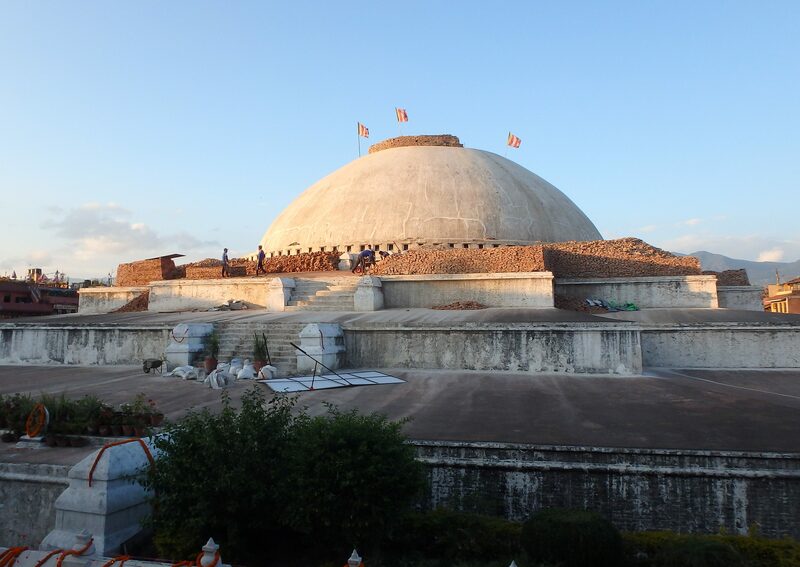 The temple was half-destroyed during the earthquake in April 2015. 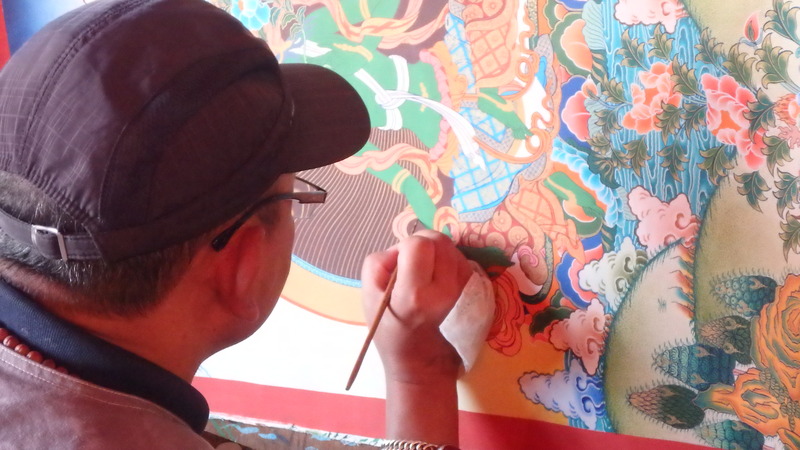 Jagat’s friend has an art school near the temple so we viewed the students at work and learned about Buddhist beliefs and the cycle of samsara (birth, death, rebirth) which most of the paintings depict. 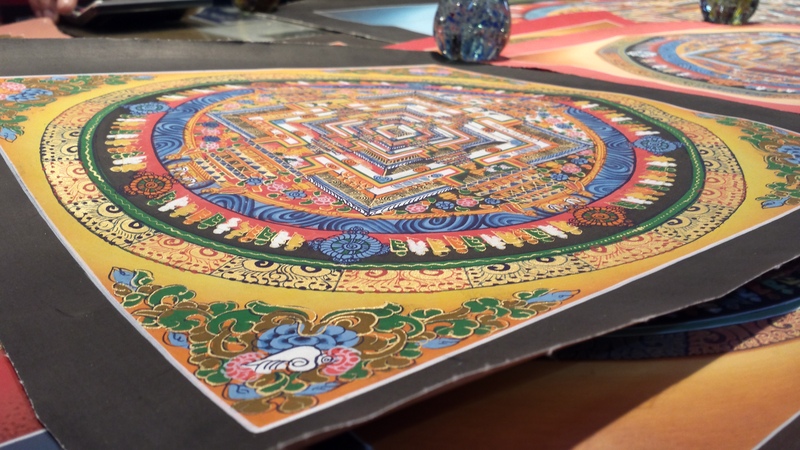 Buddhists believe they can only graduate to nirvana when their samsara is broken by right living.